CLI Prompts is added to Schematics, so any package publishing Schematics can take advantage of them by adding an x-prompt key to a Schematics collection. Furthermore, the CLI will now prompt clients when running normal commands like ng new or ng add @angular/material to help find built-in features like routing or SCSS support. The Angular team has been constantly dealing with enhancing the guidelines and reference materials to serve the developers in a better way. The updates related to documentation on Angular is one such step including the reference material for the Angular CLI. The Angular team has worked on improving the accessibility of the Selects. They have utilized the native select element in the mat-form-field. With this, the performance, accessibility, and ease of use of the native select has turned out to be better. Virtual scrolling loads and unloads components from the DOM based on the visible parts of a list, making it possible to fabricate quick experiences for users with huge scrollable lists. Drag and drop support is currently in the CDK and incorporates automatic rendering as the user moves items and helper methods for reordering lists and exchanging things between lists. Visit update.angular.io for detailed information and guidance on the best way to update your application. Early adopters of version 7 have announced that this update is quicker than ever, and numerous applications take less than 10 minutes to update. Angular 7 seems to be a strong solution that focuses on modern technology trends. It is definitely going to provide developers with more power to develop applications. 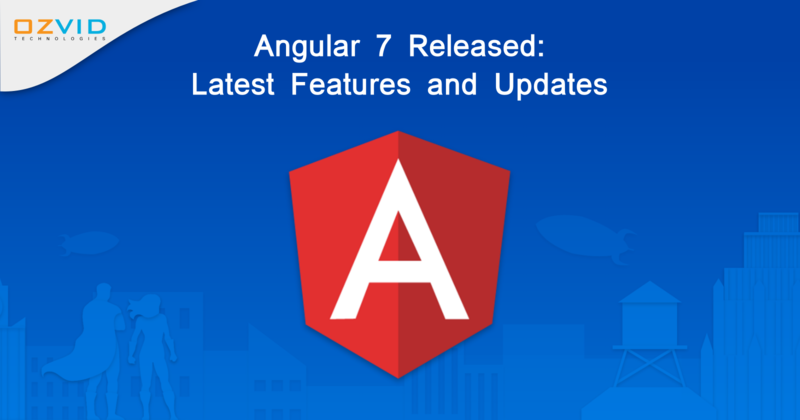 If you are planning on actualizing your very own web development solution, make sure you consider Angular 7.